This resort’s distinctively round-shaped, palapa-roofed organic spa, Aroma, is nestled in a tranquil area with tropical garden and sea views. Aroma specializes in the ancient practice of fito-therapy, with treatments based on fruits, herbs and botanical extracts. A full selection of water sports are available including windsurfing, Hobie Cats, kite surfing and snorkeling. Scuba diving outings and certification can be arranged by the concierge. The restaurant Sal y Fuego (meaning salt and fire) overlooks a cenote illuminated at night. It features fresh seafood and naturally grown produce, presented with Mexican flair and rustic simplicity. 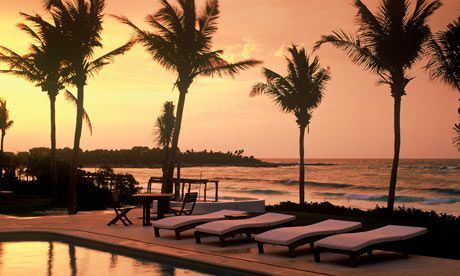 Sited on the Xpu-Ha beach, in Mexico’s Riviera Maya, along a two-mile stretch of white powder sand and against a sea of crystal blue water, surfaces Esencia, the essence of simplicity, elegance and beauty. Spacious accommodations, twenty-nine in total, feature mesmerizing sea and garden views along with large terraces, deep soaking plunge pools and private solariums. 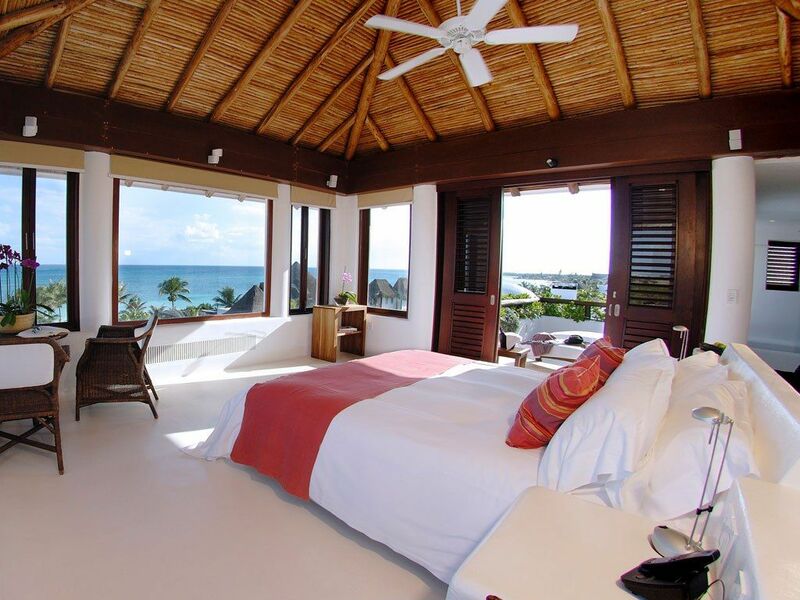 Guests can experience Esencia in an ocean view suite, garden suite or in a one of a kind private home.